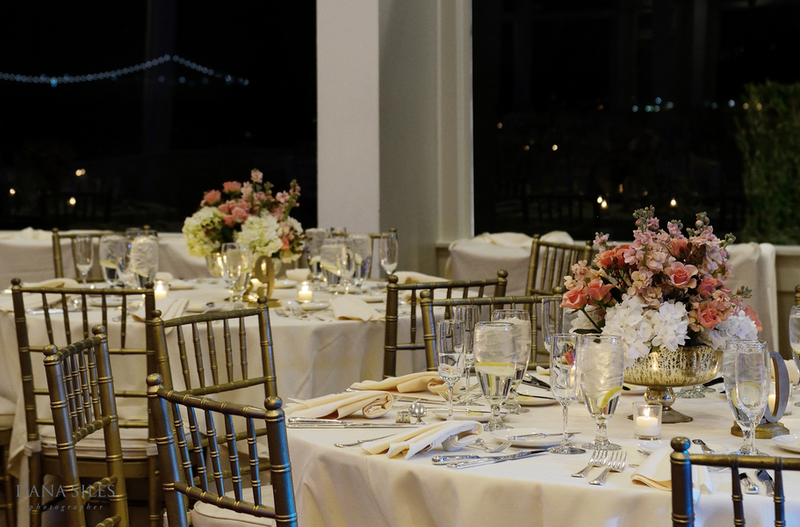 It’s rare that a wedding comes to us that truly takes our breath away. 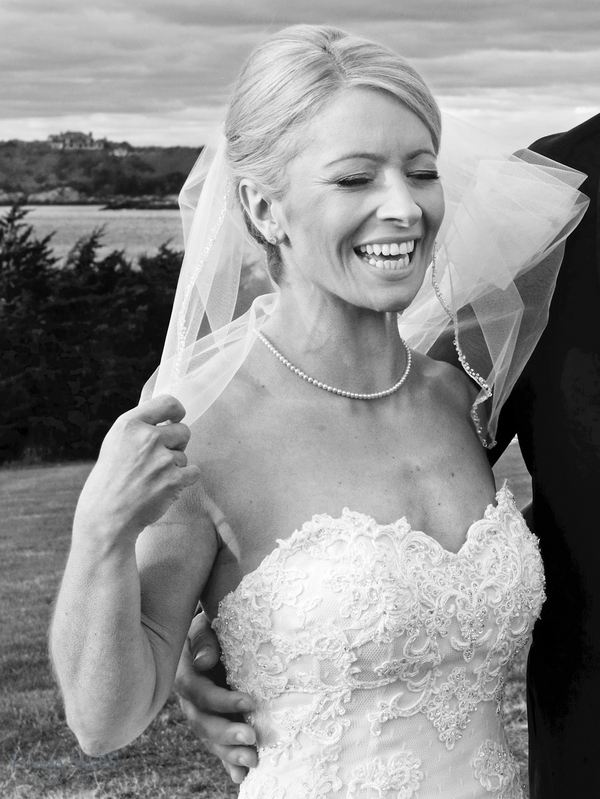 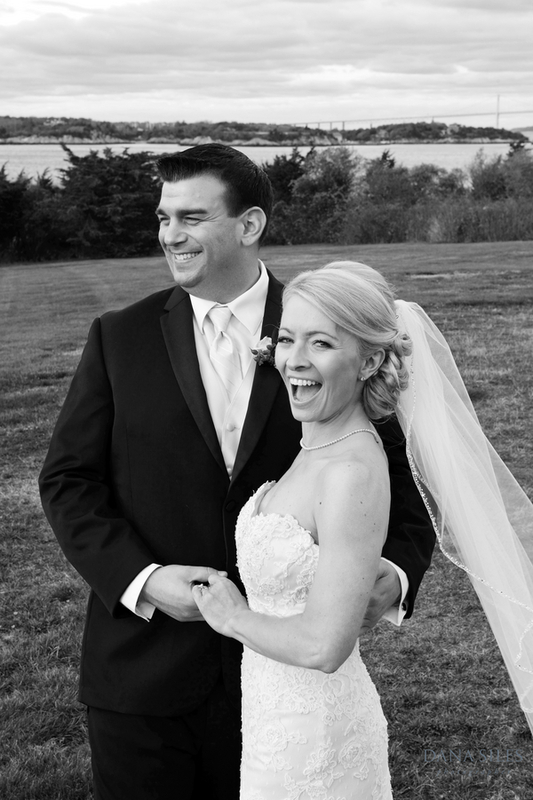 As a Newport wedding website, we’re accustomed to seeing stunning nuptials, but there was something both charming and sophisticated about Laura and Bruce’s wedding day at Oceancliff. 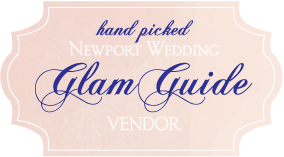 From the bride’s stunning lace gown to the pops of pink and red florals, it was everything we love about Newport weddings. 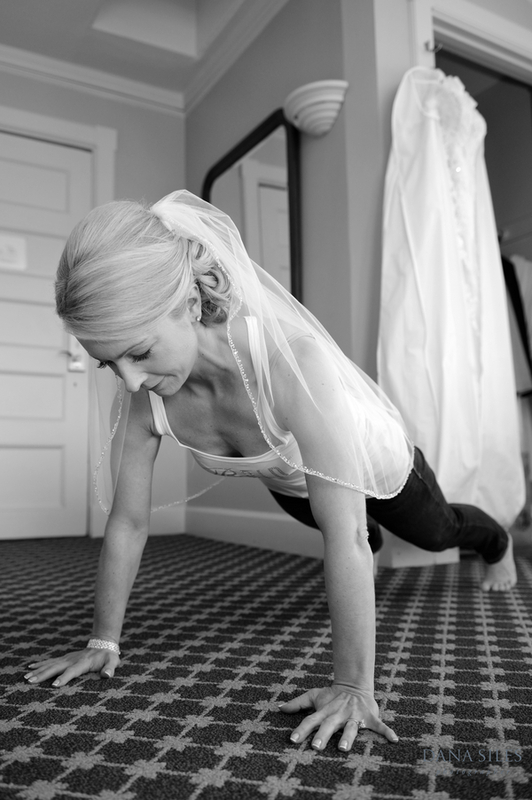 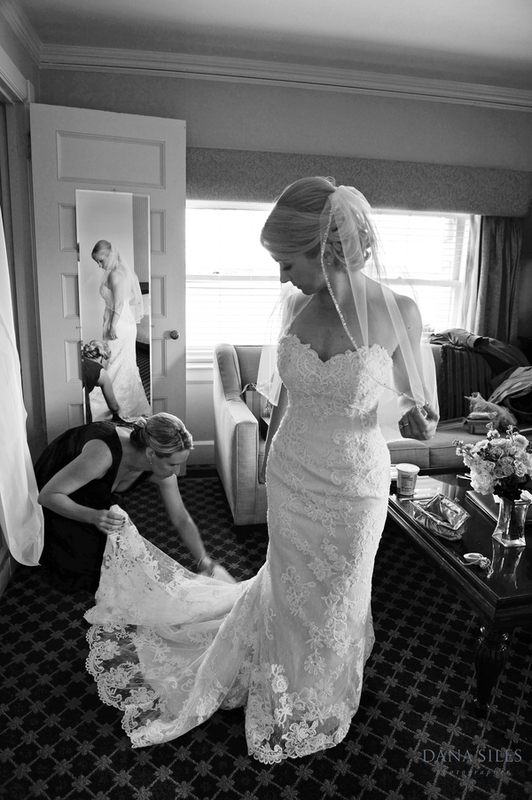 Like most big days, Laura and Bruce’s wedding began with the stunning bride getting ready in her suite. 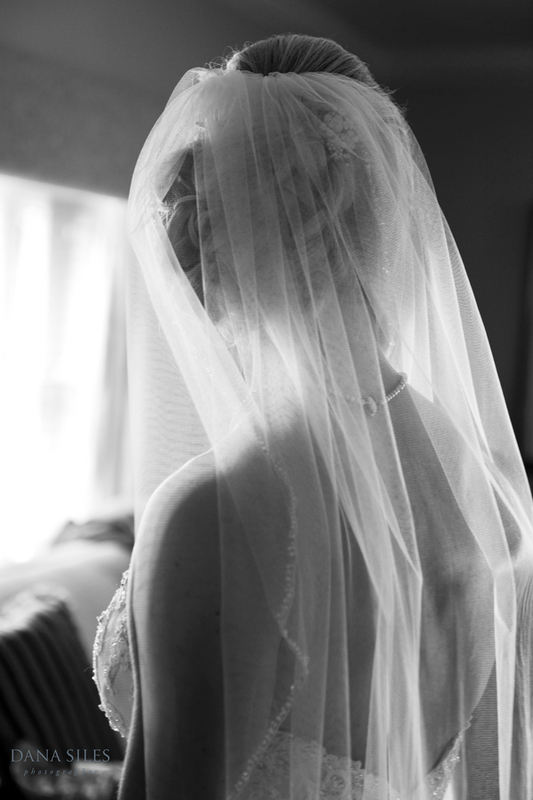 With her beautiful blond locks swept back in an elegant updo and her natural beauty emphasized perfectly, Laura looked stunning as she donned her veil and stepped into her gown. 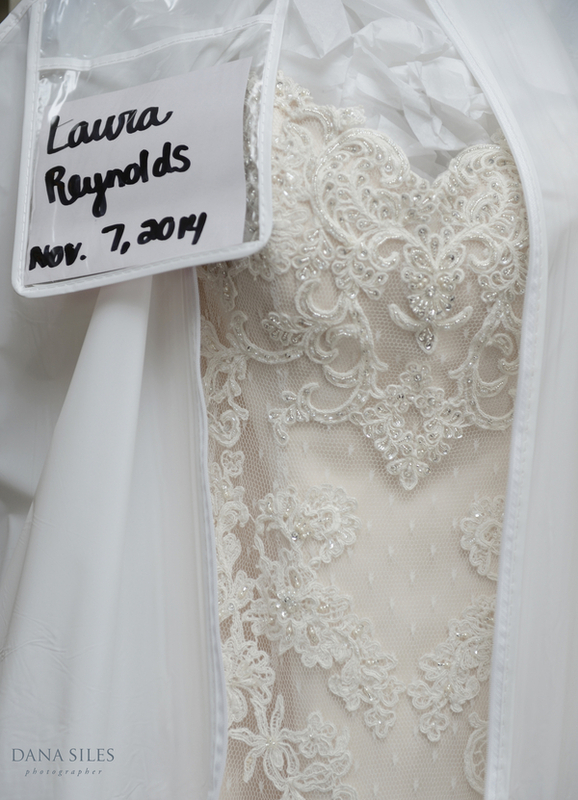 The strapless, lace, fit-and-flare creation was a true stunner that was only made more beautiful by Laura herself. 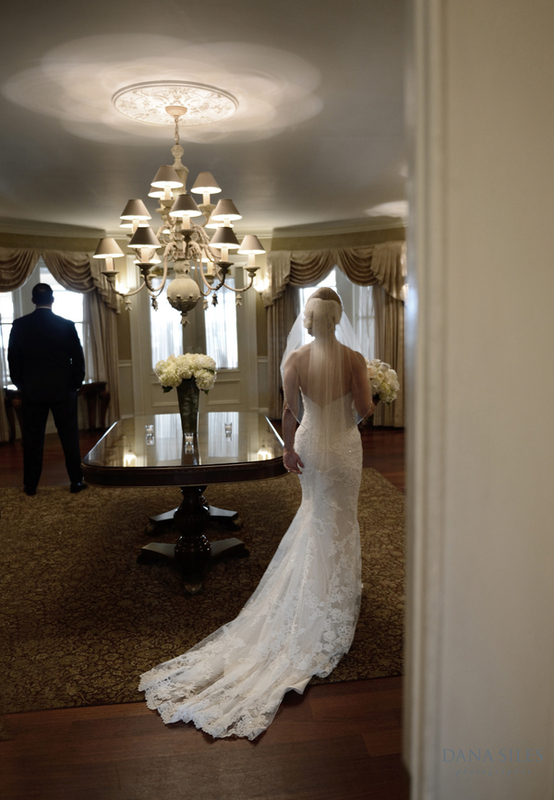 One of our favorites moments, though, was Laura and Bruce’s first look. 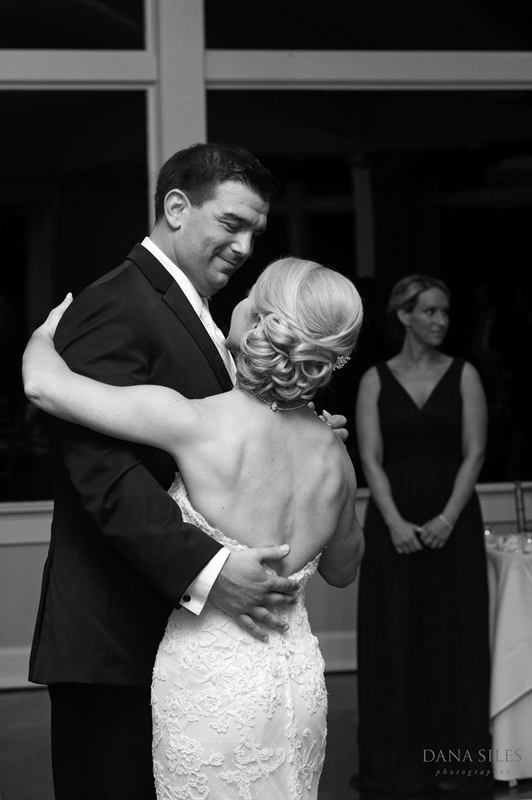 With Bruce looking dapper in his classic black tuxedo, Laura approached him, every bit the stunning bride we’re sure he expected. 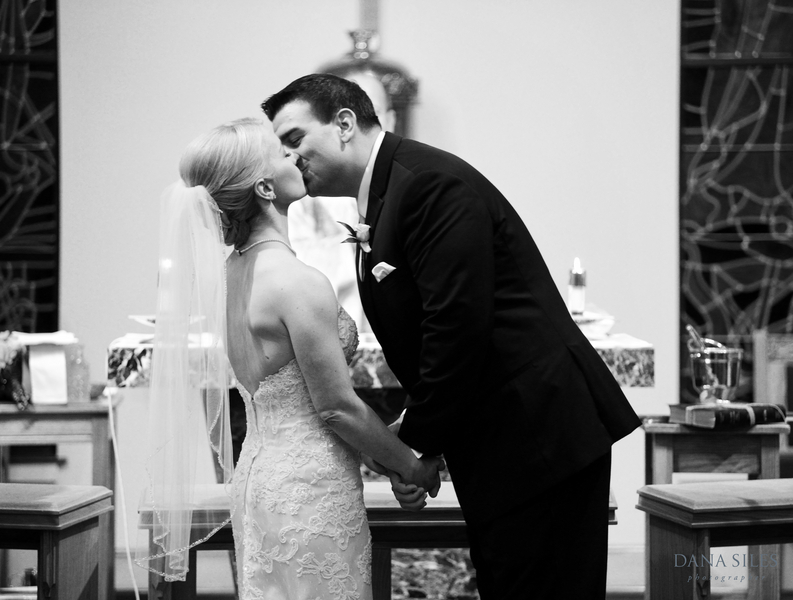 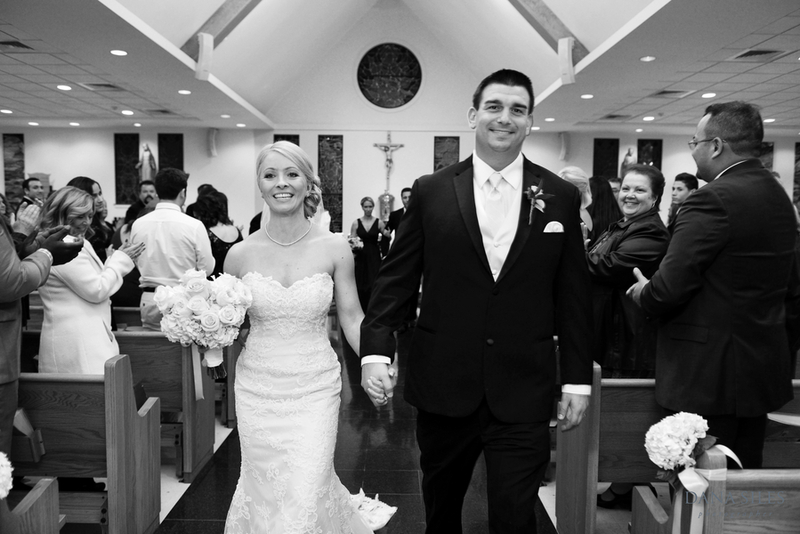 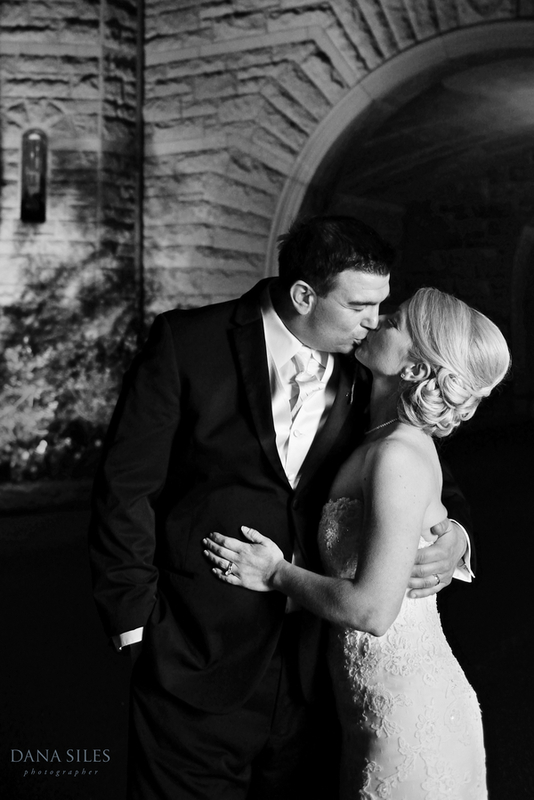 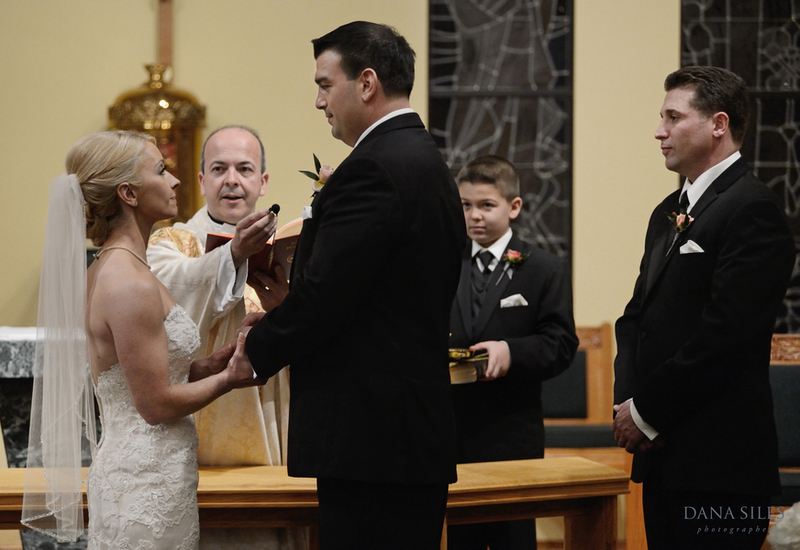 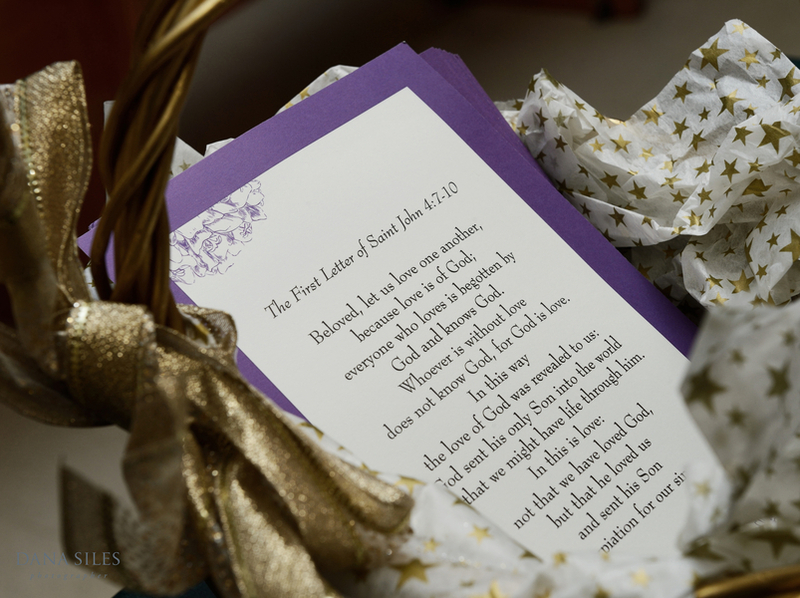 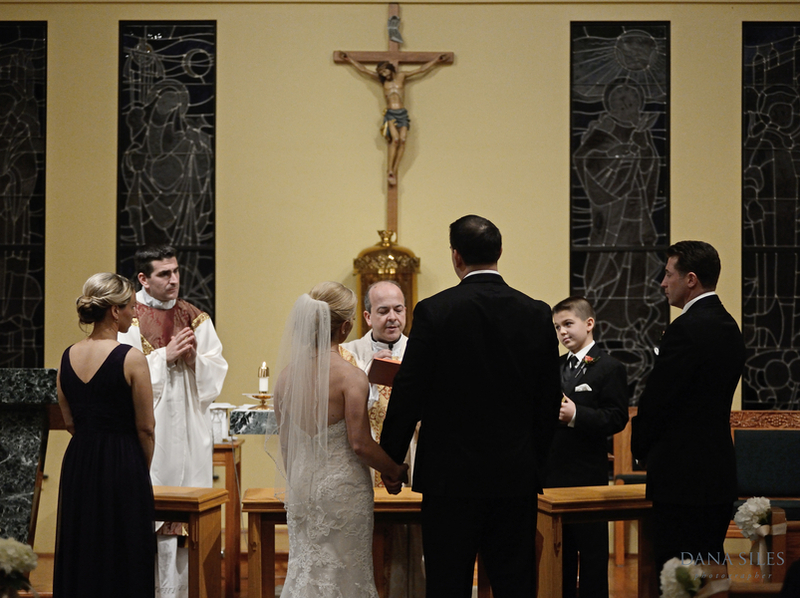 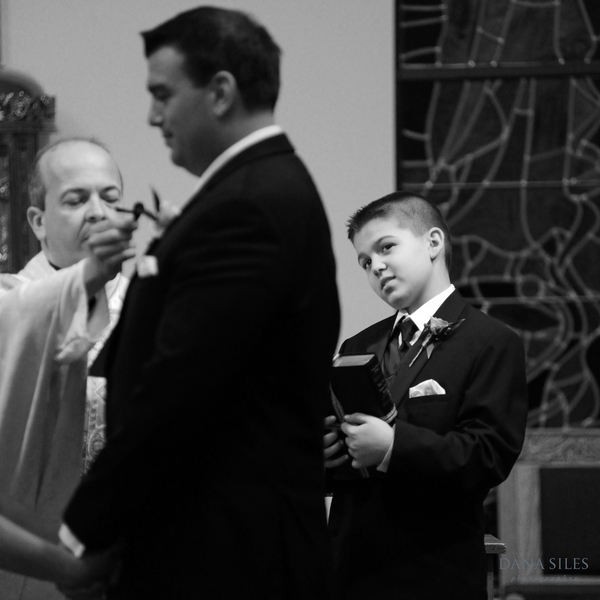 Come vow time, the pair made their way to their classic church ceremony. 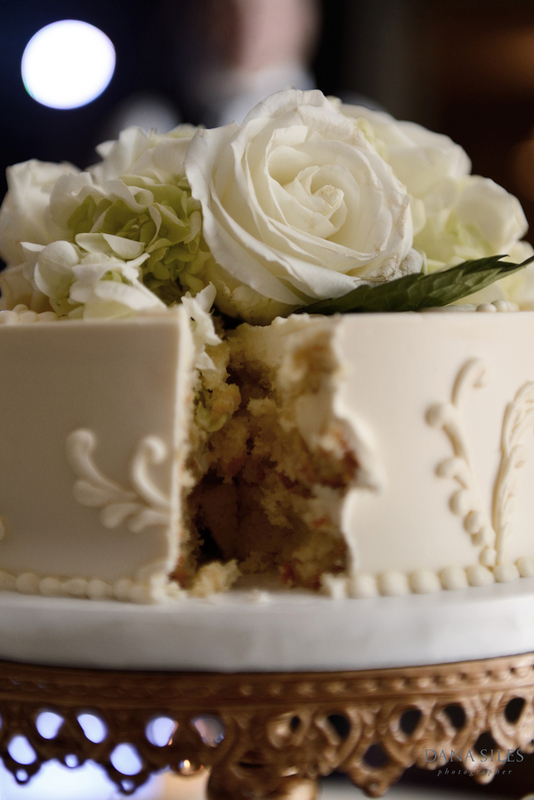 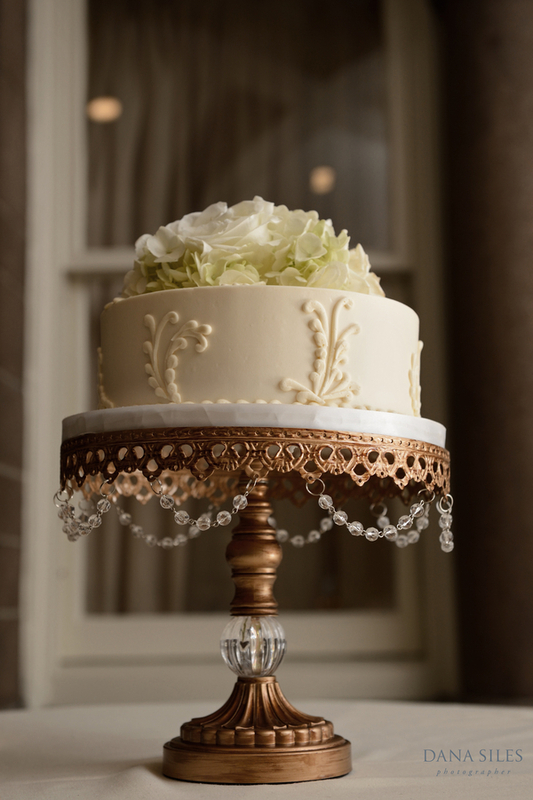 The traditional setting truly added the elegant, classic feeling that we love so much. 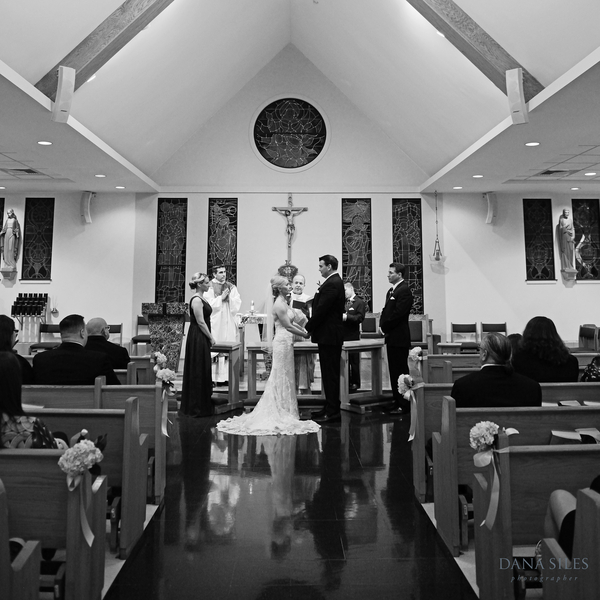 From Laura and Bruce standing, facing one another, at the top of the aisle to the sweet sealed with a kiss vows, to their smiling faces as they exited the church, everything about the ceremony screamed perfection. 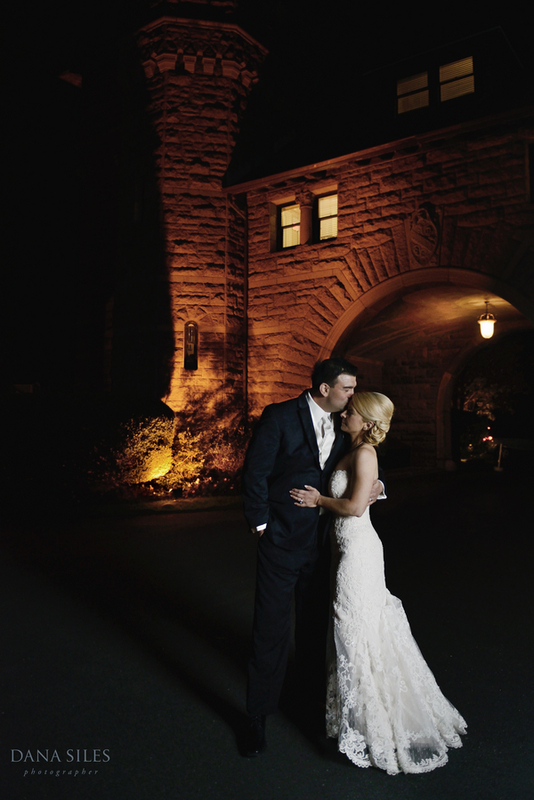 It was the reception, however, that truly caught our eye. 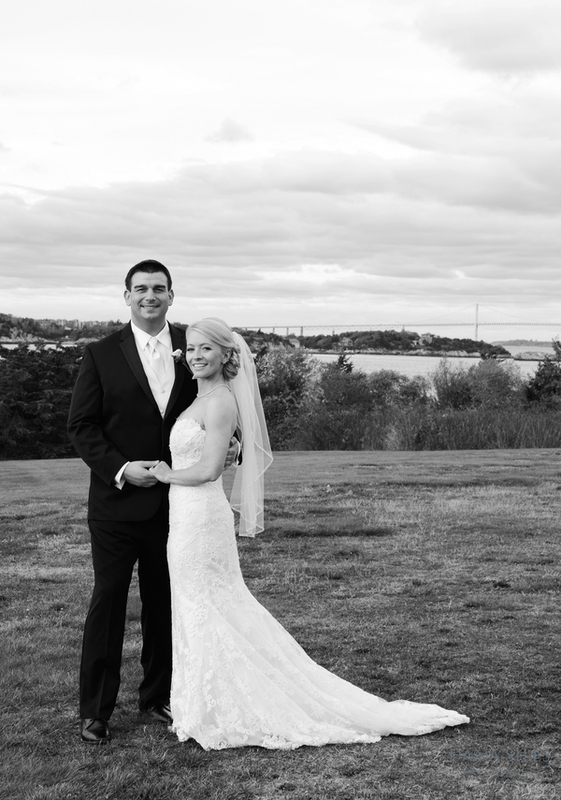 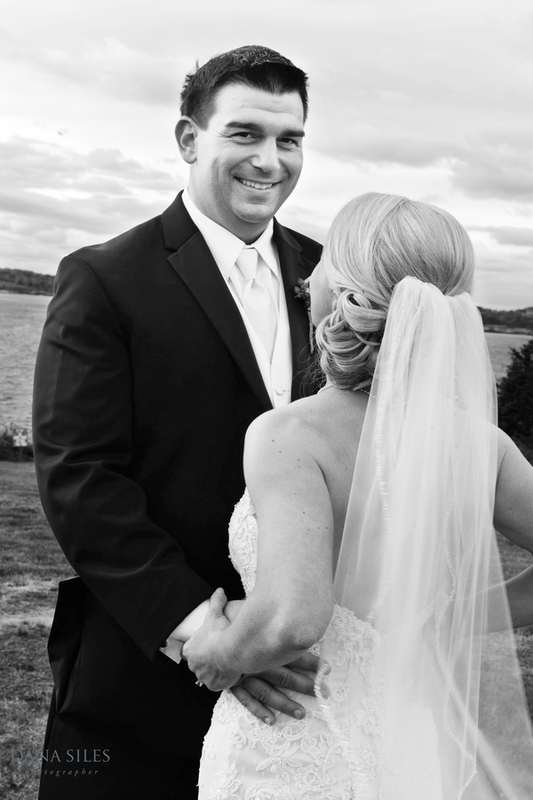 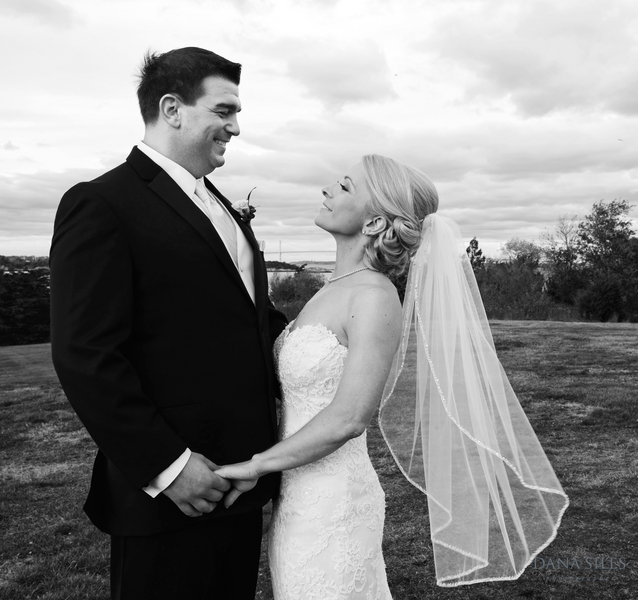 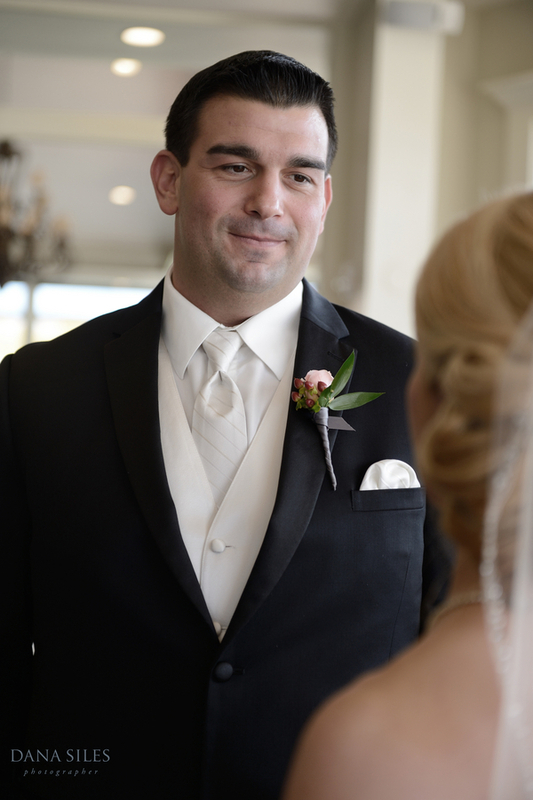 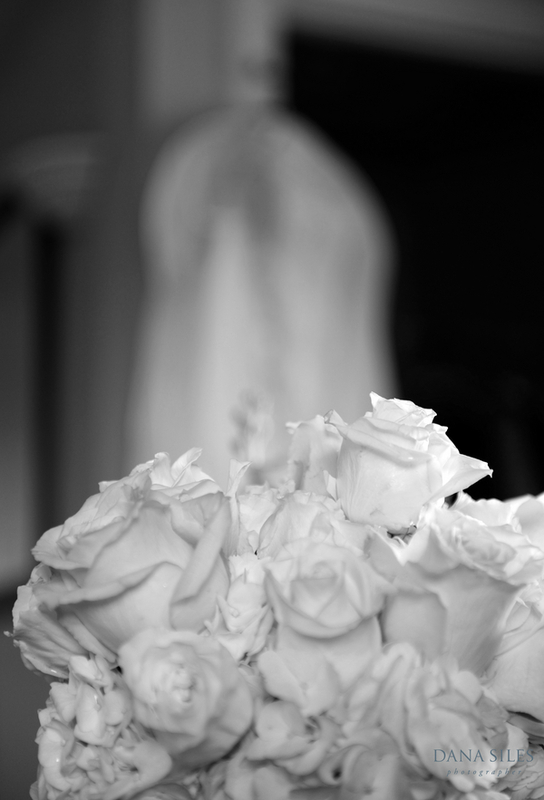 Oceancliff provided the perfect, romantic, and very Rhode Island venue for their big day. 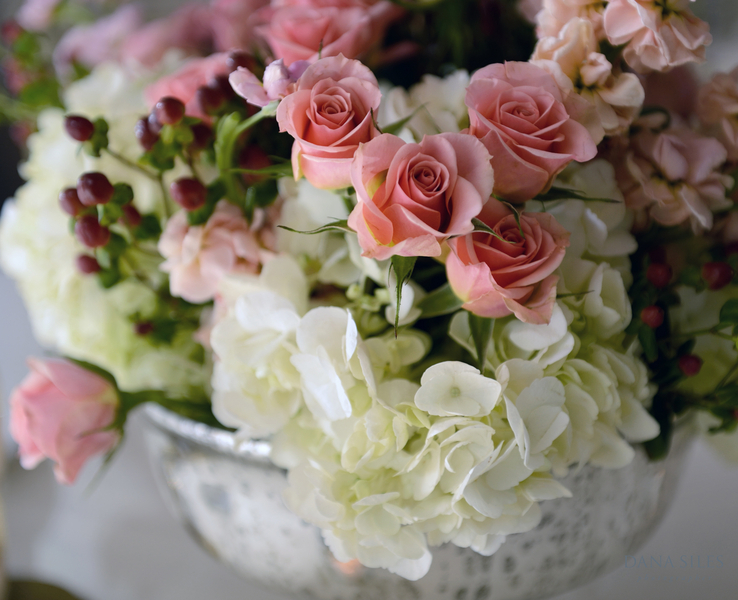 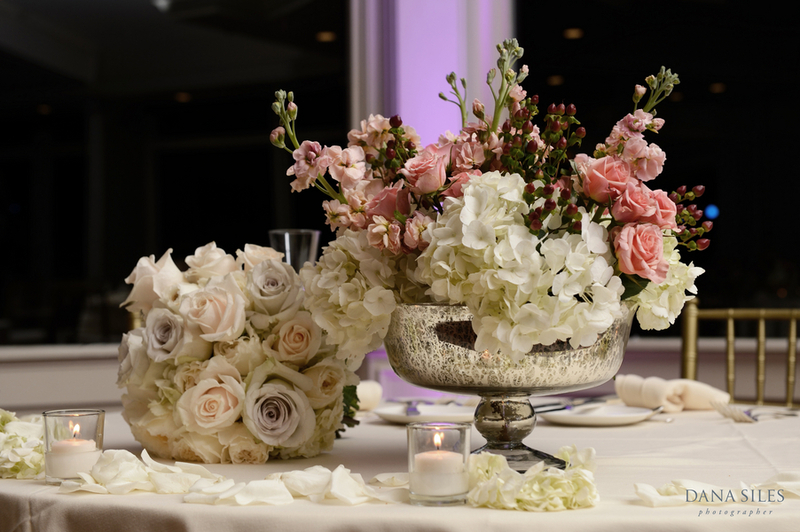 Broadway Florist truly made the space come to life with stunning white hydrangeas, pink rose spray, and red hypericum berry arrangements. 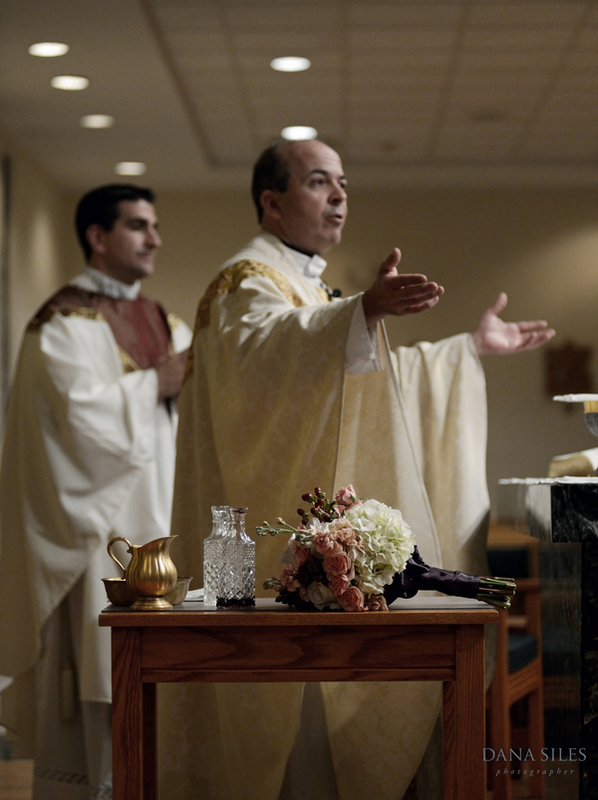 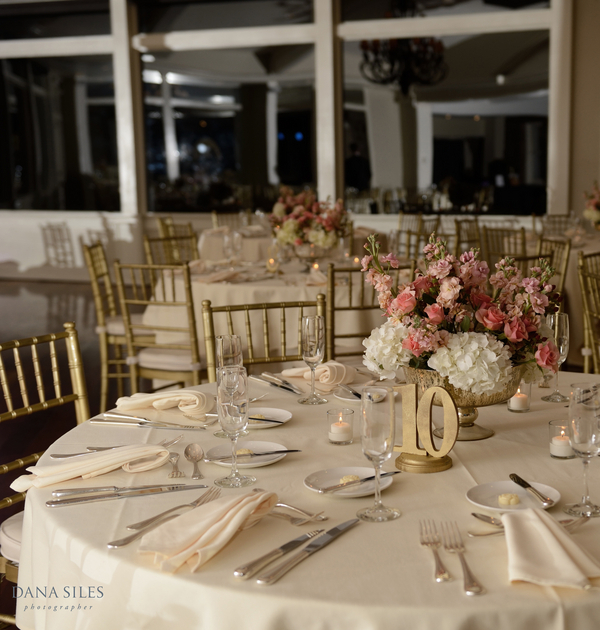 With beautiful ivory linens and golden details, it was sheer sophistication. 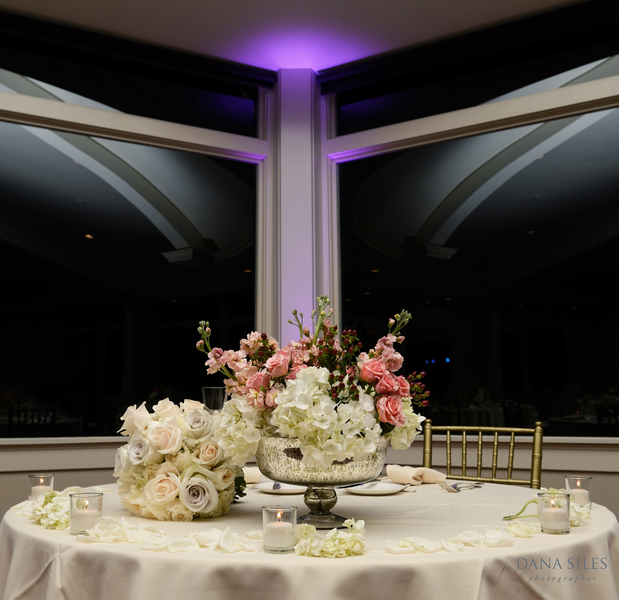 While the big day was full of elegant, lovely touches, don’t think that prevented our couple from having an amazing time. 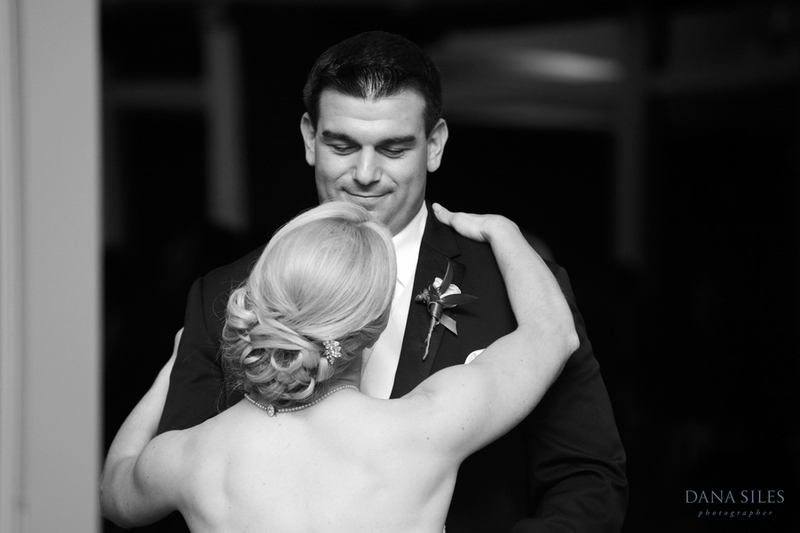 The pair look positively blissful as they danced the evening away, celebrating their marriage. 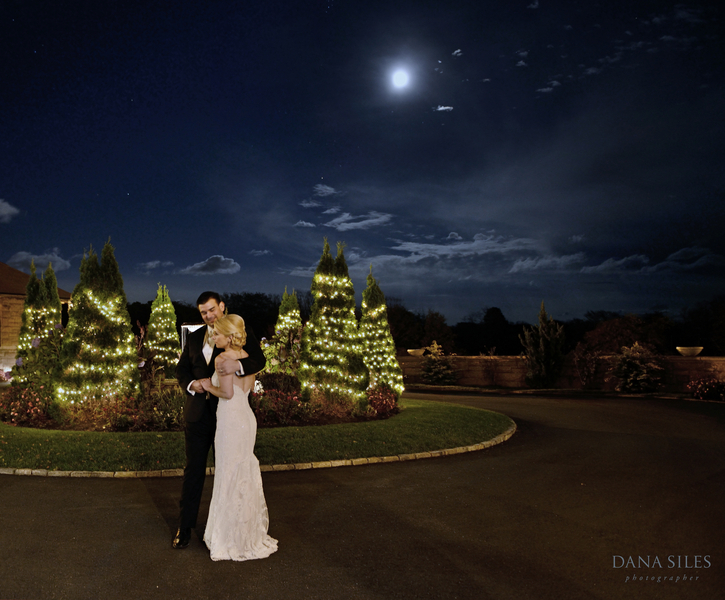 Before the evening was over, though, the pair took full advantage of Oceancliff’s beautiful grounds to capture stunning images. 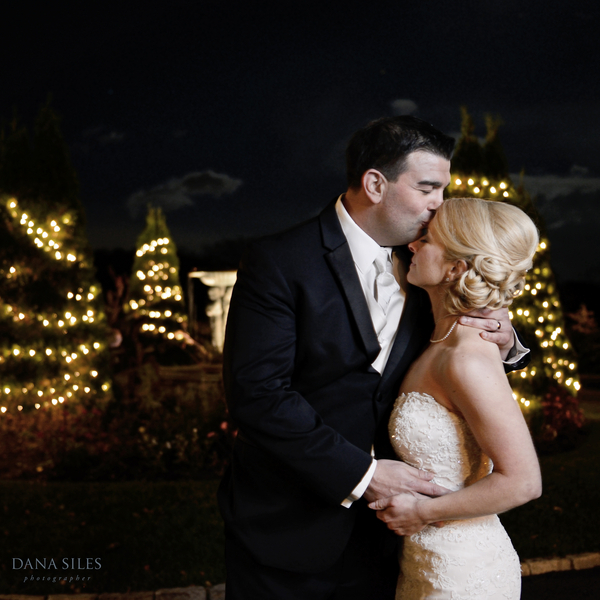 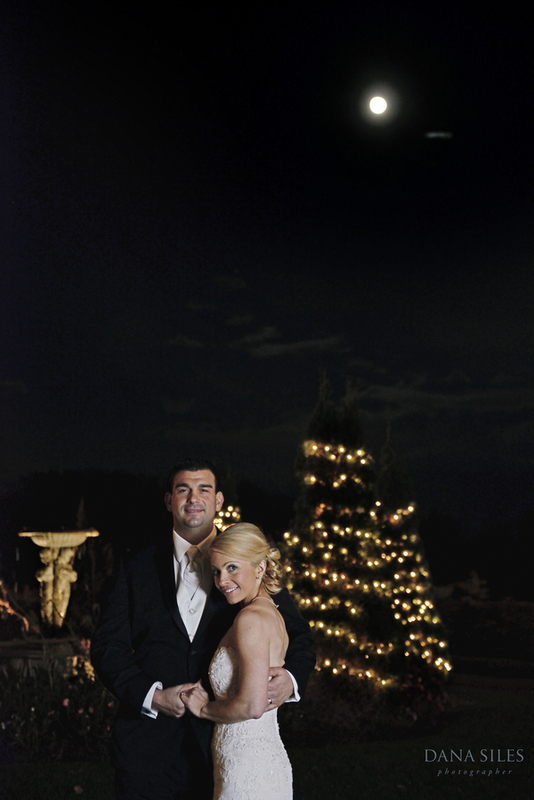 With the ground lit for the holiday season, it was the perfect romantic cap to Laura and Bruce’s wedding day. 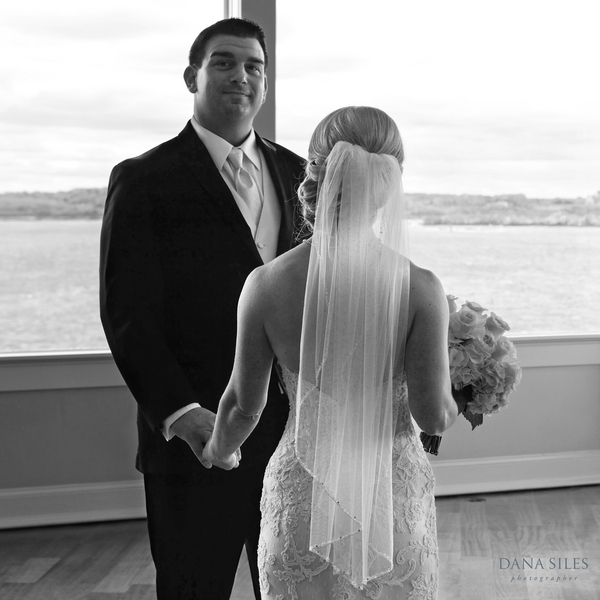 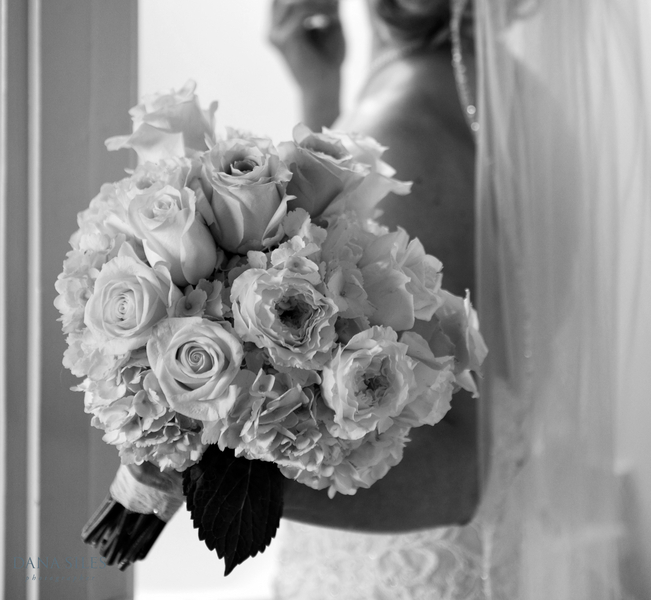 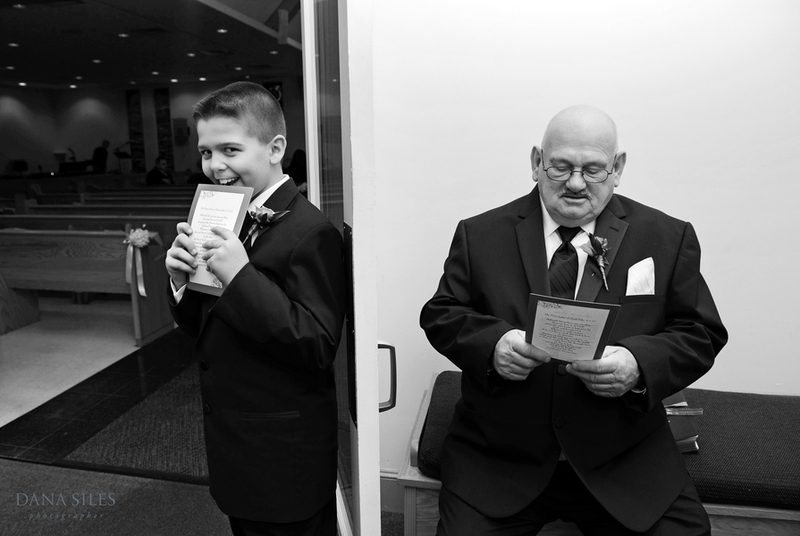 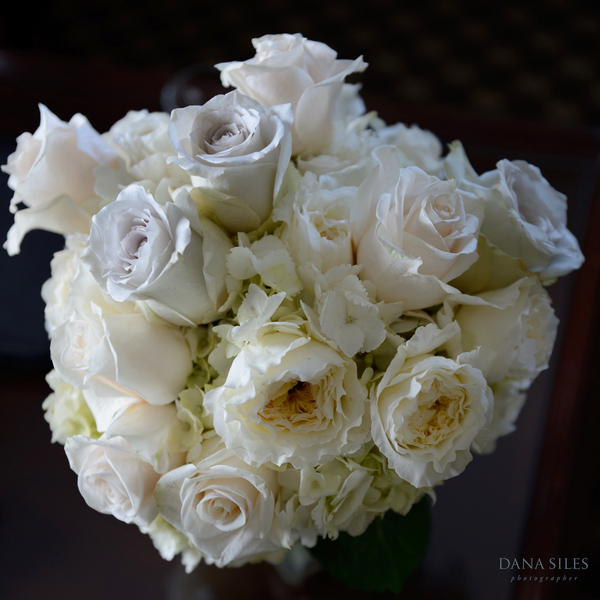 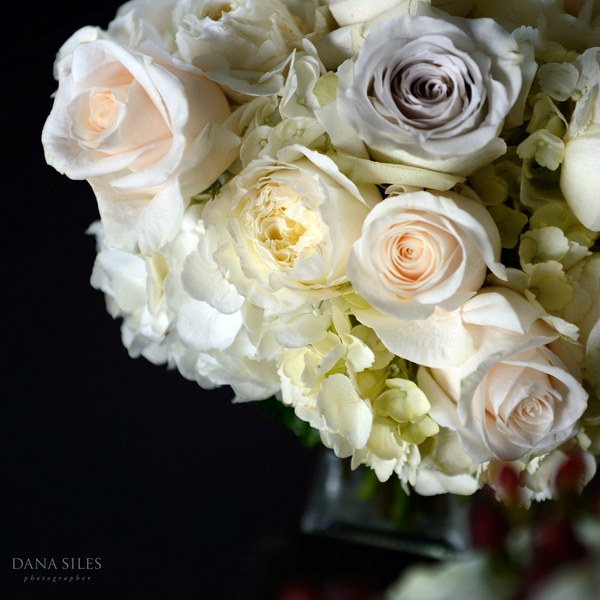 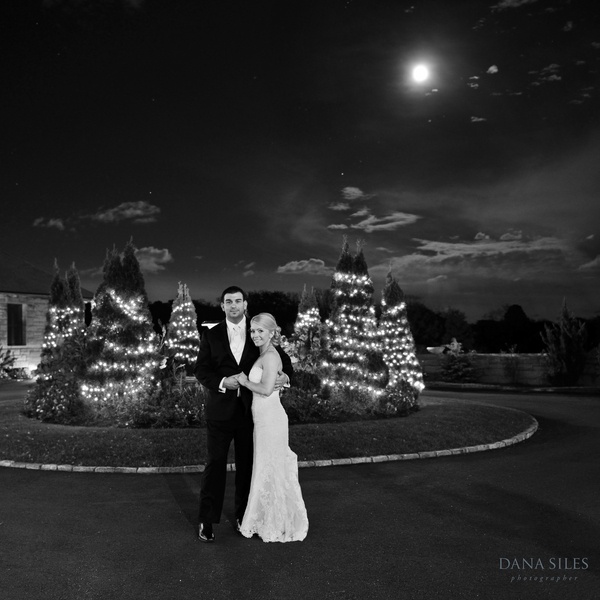 We’re so happy that Dana Siles Photography chose to share this stunning wedding with us, and we hope it bring you inspiration for your own Newport wedding day.